Motorcycle Trailers For Sale | T.P. Trailers, Inc.
Ready to hit the road with your motorcycle? Get the motorcycle trailer you want at a price you can afford. 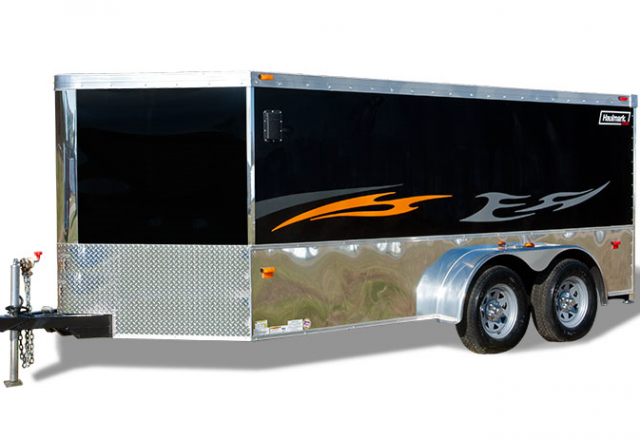 We carry both enclosed and open bike trailers from some of the top US-based manufacturers. 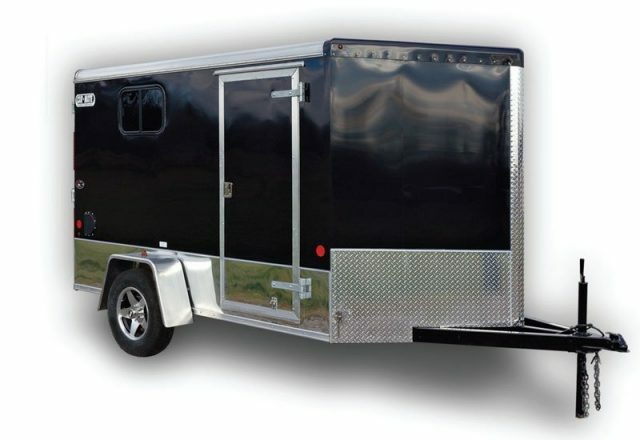 Our single and tandem axle motorcycle trailers can include custom features such as matching trailer cabinets, diamond plate flooring, tool boxes, mag wheels, bike chocks, floor tie downs, aluminum wheels, graphics and more. T.P. Trailers, Inc. can help you get where you want to go. Stop by today and check out our selection of motorcycle trailers for sale. Click on a link below or stop by today to browse our selection. When you need quality motorcycle trailers to carry your bike, Car Mate has the selection you have been waiting to find. Check out what Car Mate has to offer with side doors, bike packages, ramp doors, tie downs, e-track and much more. 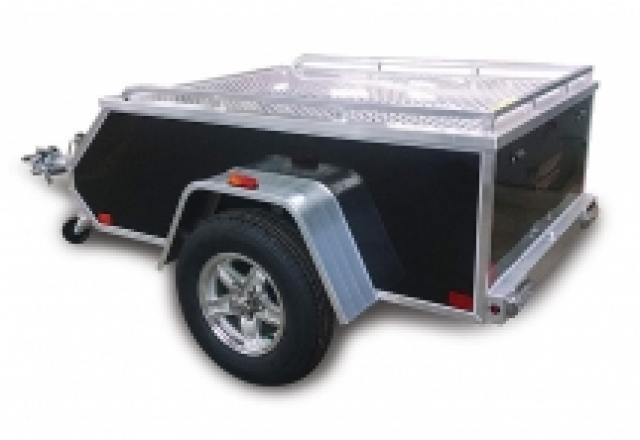 Haulmark motorcycle trailers are top of the line when it comes to quality and features. Haulmark offers ramp doors, side doors, removable wheel chocks, d-rings, custom interiors and more. 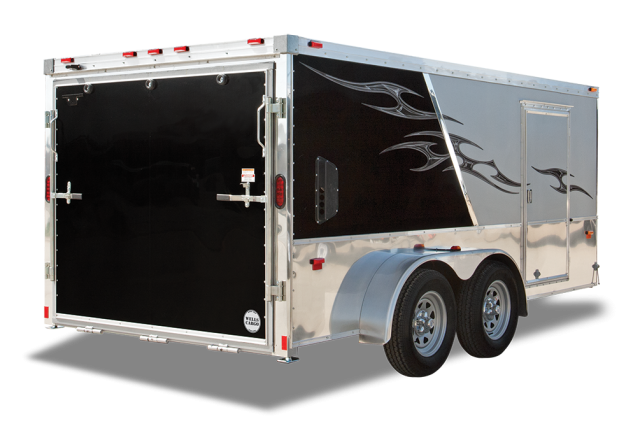 We strive to provide the finest trailers around and encourage you to discover the Haulmark difference. At Aluma, they understand the value of reliable motorcycle trailers and that is what we offer. We carry two types of motorcycle trailers that can be hauled by your vehicle or by your motorcycle. These come with features such as tie down loops, LED lights, 24” aluminum shields, and much more. Check Aluma out for yourself! T.P. Trailers and Truck Equipment is a leading supplier of quality equipment proudly serving Pennsylvania, Maryland, Delaware, New Jersey and New York. We look forward to helping you.